In April, the Ontario government announced two major changes to the electricity sector. The first is the amalgamation of four large local distribution companies (LDCs) in the region surrounding Toronto, including the provincially owned LDC, Hydro One Brampton. The second, higher-profile transaction is the sale of up to 60 per cent of Hydro One, the government’s electricity transmission company. the proceeds will be invested in transportation infrastructure and used to repay Hydro One’s debt. Electricity is the most ‘political’ price in Ontario’s economy. Rates have been rising and will continue to rise for many years, for a variety of reasons unrelated to this potential IPO. Moreover, otherwise sensible privatizations—like the Pennsylvania Turnpike in 2008 or Hydro One itself in 2002 —and politically sensitive mergers and acquisitions—like BHP Billiton and PotashCorp in 2010—have failed to proceed after political pressure became too intense. Critics will say that privatization itself is causing higher rates, even though rates are going to increase substantially over the next decade regardless of ownership structure, due to previous investments in green energy and other kinds of infrastructure. The government may feel obligated to take a strong stand to limit rate increases thereby reducing the potential revenue stream to shareholders, thereby reducing the overall value of the asset. The Highway 407 privatization in the mid-1990s allowed the new owners to increase rates (and thus the value of the asset) while creating significant political challenges. These will doubtless factor into this government’s approach to Hydro One. The opposition to the sale of shares of Hydro One is already intense. While the criticism—for example, among the NDP, CUPE and a handful of legal experts—is directed at the government and the transaction itself, there is a very real chance that would-be investors and their advisers may become objects of criticism, particularly if they are not seen to be on the side of the public and ratepayers. We wanted to get a better understanding of some of the risks associated with the Hydro One IPO, so we reached out to our H+K Perspectives Panel. What we found is that Ontarians are skeptical of the motives behind the proposed deal and its impacts. The government’s commitment to using a significant amount of the proceeds to invest in transportation infrastructure has not resonated with people. This view comes from a well-informed group, where nearly three quarters were aware without prompting (73 per cent), and nearly 8 in 10 indicate prior awareness after prompting. 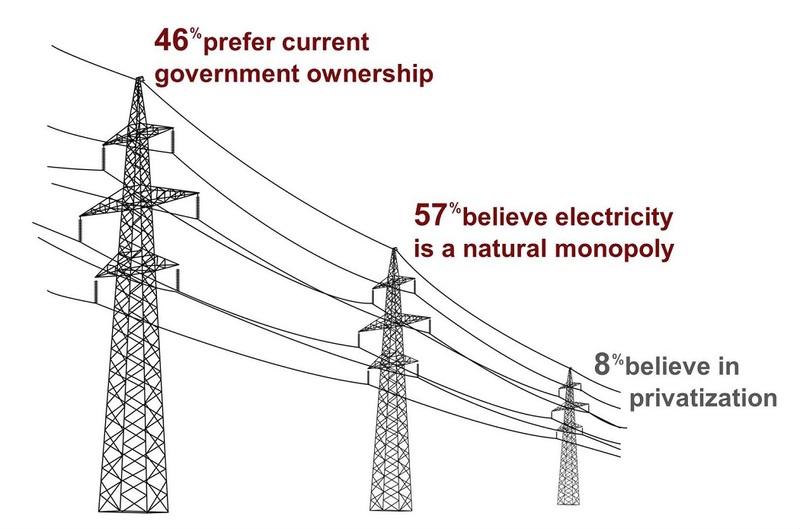 In fact, just over three quarters believe electricity prices will go up as a result of the partial sale (76 per cent). In short, the government’s most transformative policy initiative is being built on very shaky political ground. Although the financing and legal requirements to implement this change may be straightforward, the context in which the deal will occur is very complex. Recall that Ontario is the province in which two gas plants were cancelled after construction started. In those instances, public pressure became so intense that the government felt it had to change direction—an admission that it had insufficiently engaged the public earlier in the process. Politics in every jurisdiction can drive sub-optimal financial and economic outcomes. For the Hydro One IPO, the government and its advisers will need to develop a near-flawless transaction and related public communications that manage the variety of risks that can jeopardize the overall valuation of the asset or the viability of the transaction itself. Hydro One’s largest shareholder now and in the future—the people of Ontario—does not currently support the transaction, nor do they see the trade-off (hydro shares for transit dollars) that underpins the government’s direction. At a minimum, the government and investors need to allay these concerns to reduce risks over the longer term. More likely, the viability of the transaction itself may be in jeopardy without effective public engagement and communication.